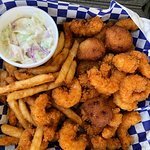 Soft shell crab sandwiches (in season) are superb!I had the crab cakes and my kids loved the fried catfish baskets.Oyster Roast ExtravaganzaWe had shrimp, scallops, crab cakes, steamed clams, and hush puppies. 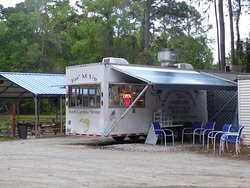 This is a mobile kitchen parked behind Flowers Seafood on the way on to Edisto Island, SC. 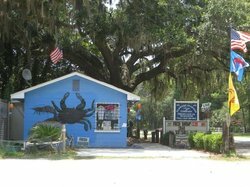 The family owns their own shrimp boats and sell seafood out of a small building near the street. 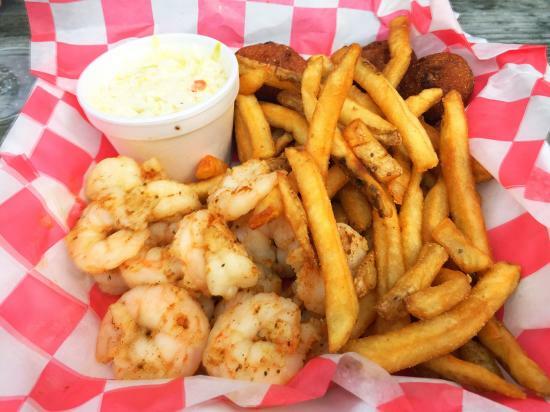 When you order they pick out the fresh seafood and cook it for you. You eat outside under large Live Oaks with hanging Spanish Moss. 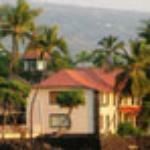 I have photos to share. 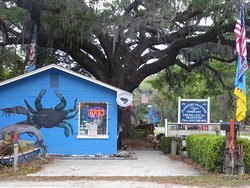 This place is no frills and the best market and seafood in the area. Priced reasonably. Great place to buy firewood. It's #1 For a Reason !! The portions are generous. The staff smiling and courteous ! The flounder is the best I've ever had. I'm full but can't wait to go back !! Been there twice, so far. 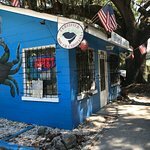 Had a low country boil a few days ago and we bought all our seafood here, it was fresh and yummy. We just had lunch there and it was amazing! More shrimp than I could eat. Bought 5lbs nice fresh shrimp Saturday. Reasonably priced. Counter guy packed them on ice in my cooler for me. Cooked them yesterday for family. Wonderful! Didn't eat at the truck, but bought fresh food to take home inside the store. Scallops were amazing, and some of the freshest tuna I have ever eaten! 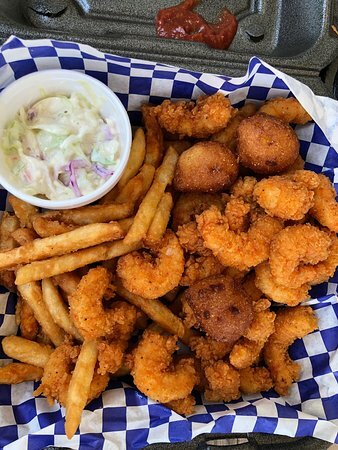 The shrimp are magnificent from this region. We went back twice during our stay! This is the freshest drive up food truck. Take out or picnic table. 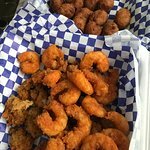 Cooked to order shrimp, oysters and hush puppies. All delicious. 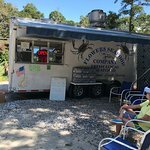 Took back to our camper to eat in a/c. Too hot to eat outside. 86 degrees. Definitely a good choice! 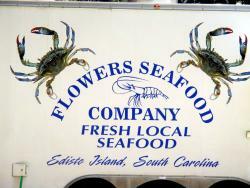 Get quick answers from Flowers Seafood Company staff and past visitors. Sorry, we only bought the fresh fish from the store and prepared it ourselves.